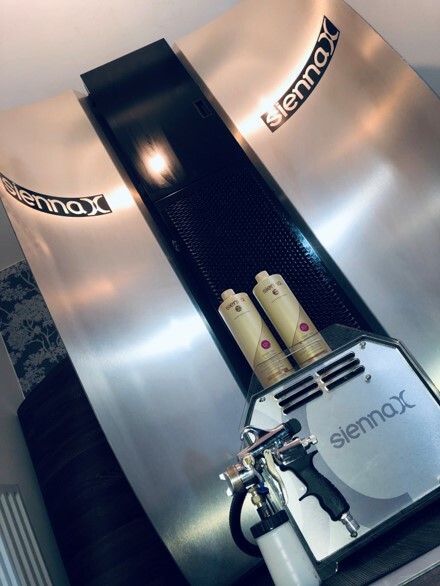 You know how much we love a gadget here at Guys n Dolls and we couldn’t resist purchasing the SiennaX Butterfly Spray unit. This lovely piece is now in our Tanning rooms offset of our new Beauty rooms and wow doesn’t she look fabulous! This new piece of kit is just a master piece and it is exactly what was needed in the Tanning room as we have been inundated with bookings for Spray Tans lately. Sienna X was founded by Nicola Matthews, Nicola’s idea behind Sienna X started when she visited a Beauty Show with a friend of hers who owned a Salon. She soon signed up to become a Nail Technician and a course to Spray Tan however she could not find any equipment that was user friendly so her Father purchased a Hospital screen for her which she wrapped in black plastic and she used a ground sheet when visiting clients houses. Nicola found it quite difficult taking the items from a to b in the back of her car and that’s where the Sienna X idea developed from. When her children were playing at home in a pop up tent she says he had what she calls a lightbulb moment and she developed the mobile pop up tent. 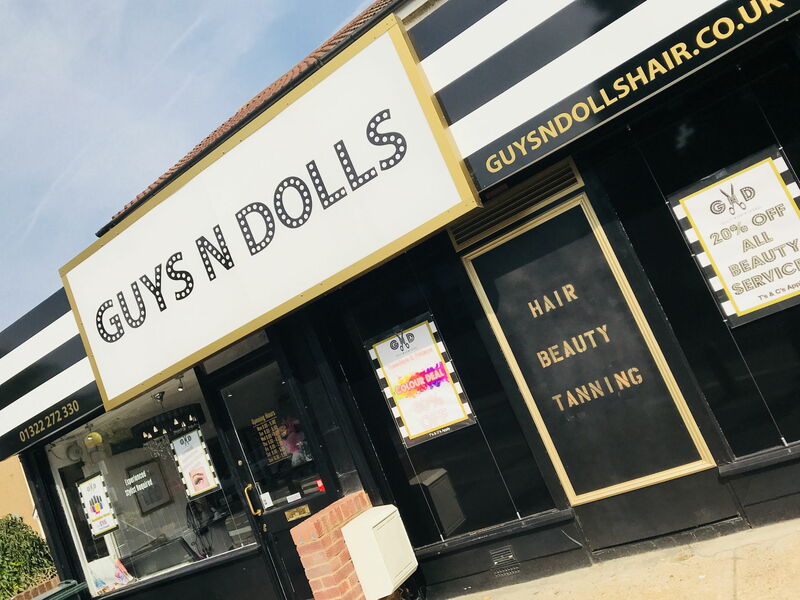 Nicola’s idea has been used by several companies since but Nicola has gone further to develop her idea. . .hence the Butterfly booth that we at Guys n Dolls are now the proud owners of. 14 years down the line and Sienna X is now the leading brand. They have worked alongside many famous clientele and have been used by Strictly Come Dancing, The Brit Awards and the MOBO’s. They have won endless awards including 10 Guild Awards. 2 Pure Beauty awards and they have 100’s of 5/5 best for reviews. 90% of the brand is UK Manufactured, something that we love to support here at Guys n Dolls. 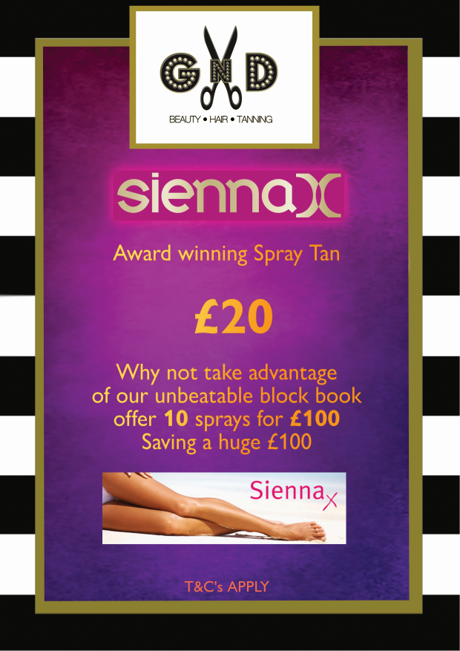 If you are not a fan of sitting in the Sun or in the sunbeds, Sienna X is for you and we have this fantastic offer on, 10 sprays for just £100. This saves you a huge £100 and you can use the course throughout the year. Nicola’s favourite quote is “Whether you think it will, or whether you think it won’t, you will be right”. 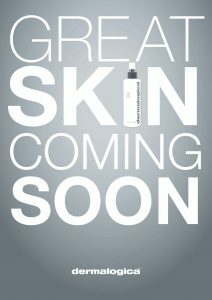 . . We love this motto and we love Nicola and her brand and we are proud to endorse it here at Guys n Dolls.